The investigation asserts that both the violence experienced by women human rights defenders, as well as the impact that such aggressions have on their lives and activism, makes it necessary to adopt protection mechanisms that address the different needs and realities of WHRDs. 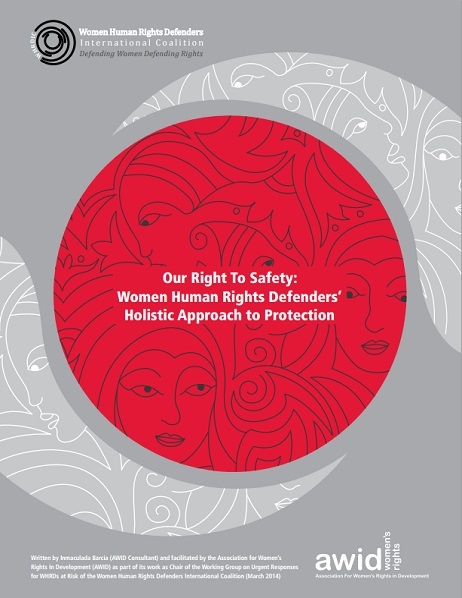 Similarly, it moves away from the concept of protection that focuses solely on the physical aspect, towards one that also addresses the need to create an enabling environment for WHRDs to carry out their work safely. The ideas and recommendations included in this publication were developed through a consultation process that reflects the experiences of women human rights defenders from various regions. Women Human Rights Defenders (WHRDs) are women active in human rights defence who are targeted for who they are—because they are women as well as for what they do—because of their work defending human rights. Chapter one analyzes the risk factors and violations faced by WHRDs, in particular the use or threat of sexual violence and the use of gender and sexual stereotypes against WHRDs. It also explores the concept of integrated security and how many WHRDs understand this concept. Chapter two explores a wide range of protection measures that have been discussed with WHRDs in the course of this research, including initiatives addressing individual, family, collective and institutional security, as well as measures addressing structural violence and digital security. Chapter three elaborates on the responsibility of States to protect WHRDs and the strengths and potential pitfalls of several State initiatives that are currently in place. Chapter four describes some of the regional and international human rights mechanisms that have been put in place to protect defenders. Chapter five provides a set of recommendations for States and other institutions to develop gender-specific protection initiatives. 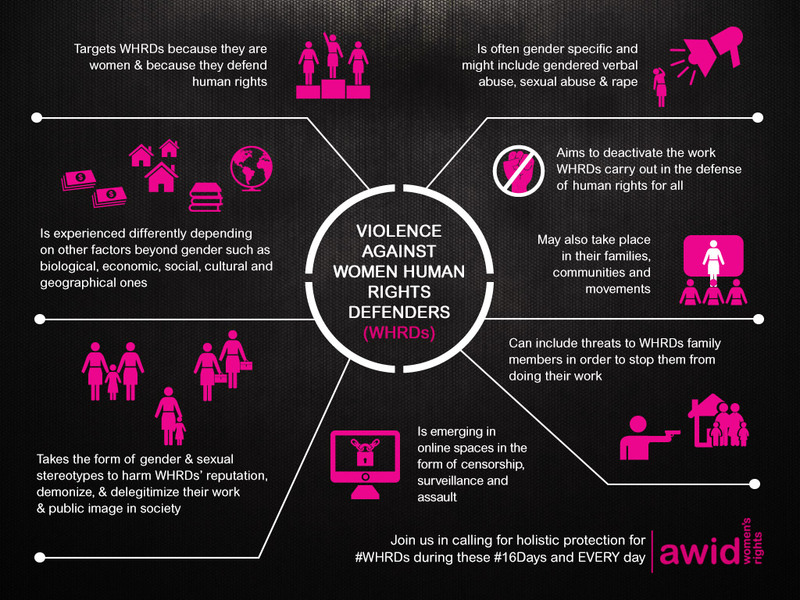 What do we mean by gender-sensitive protection and security for WHRDs?